You work hard every day, and you deserve the best. Why limit yourself to the genetic limitations with which you were born? 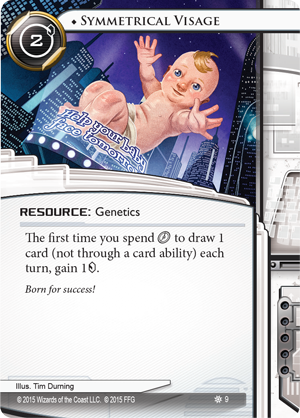 Get more out of life with Jinteki's genetic engineering. Better genes for better lives. Upgrade yourself. Upgrade your deck. 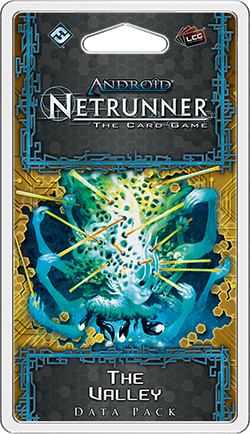 The Valley, the first Data Pack in the SanSan Cycle for Android: Netrunner, is now available at your local retailer and online through our webstore! 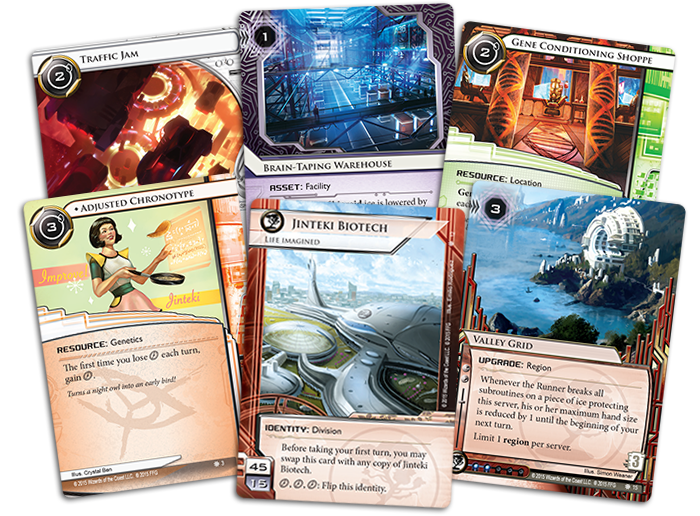 With its sixty cards (three copies each of twenty different cards), The Valley opens our tour of the megacity SanSan and its many different districts with a stop in Biotech Valley. More commonly referred to as just "The Valley," Biotech Valley is home to Jinteki's J-Plex research facility, as well as many of the world's other leading bioengineering firms. With their advanced genomic research, these corporations are unlocking the secrets of human potential and, often quite literally, changing the face of tomorrow. Unsurprisingly, Jinteki and its work feature prominently in The Valley. 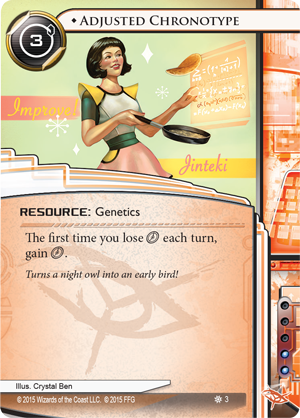 You'll find a new Jinteki identity, Jinteki Biotech (The Valley, 12), the game's first "flip" identity. 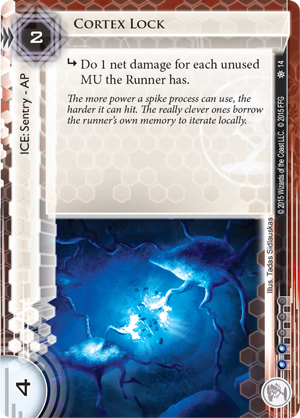 You'll also find a new Jinteki agenda, Genetics Resequencing (The Valley, 13); a deadly Jinteki sentry, Cortex Lock (The Valley, 14); and a Jinteki region upgrade, Valley Grid (The Valley, 15), that punishes Runners for breaking through the ice they couldn't afford to ignore in the first place. However, Jinteki's work doesn't stop at its doors. Jinteki is one of the world's largest corporations, and its work has massive socioeconomic impact. In fact, some of the Corp's best work may even come back to haunt it. 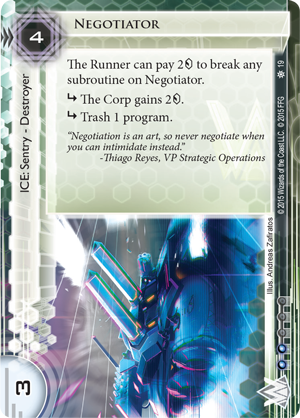 The Valley makes much of Jinteki's work available to the very individuals its ice are meant to stop. 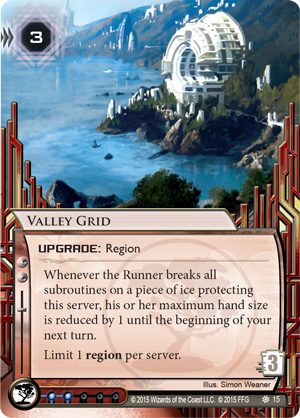 In The Valley, each Runner faction gains its own genetics resource, and all gain access to the neutral genetics resource, Symmetrical Visage (The Valley, 9). 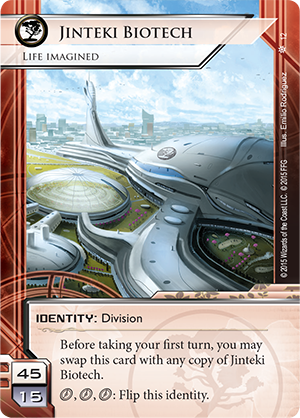 Like Symmetrical Visage and Adjusted Chronotype (The Valley, 3), each of these genetics resources is unique and offers a potent benefit, but it's one that only triggers once per turn. Unless, that is, you have a Gene Conditioning Shoppe (The Valley, 6) in your rig. 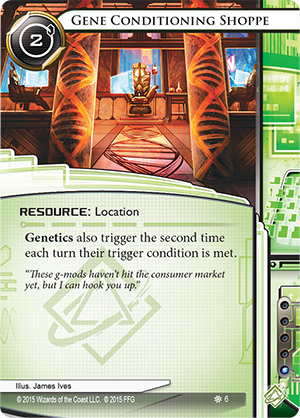 The likely lynchpin of an all-genetics deck build, Gene Conditionning Shoppe allows you to trigger each genetics resource up to two times a turn. What are some of the options available to the genetically enhanced Runner? 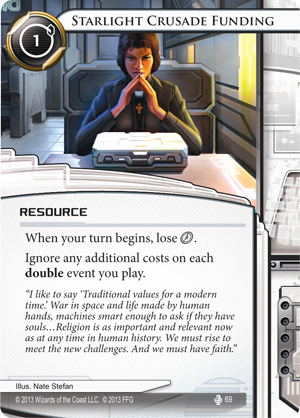 You could lose a click at the beginning of your turn to draw two cards with Wyldside (Core Set, 16), and another to Starlight Crusade Funding (True Colors, 69) to ignore the extra click-cost of all your double events, and then you could gain them right back. 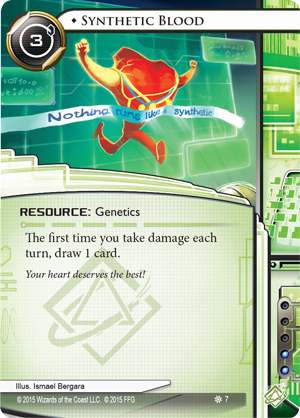 The first two times that you suffer damage, you could draw a card back with Synthetic Blood (The Valley, 7). 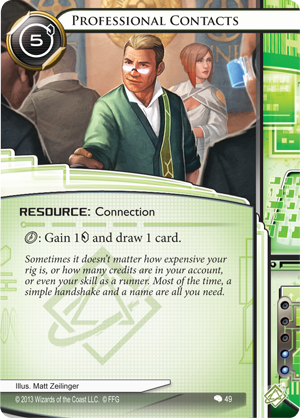 You can transform your Symmetrical Visage into a miniature Professional Contacts (Creation and Control, 49), drawing two cards and gaining two credits each turn, for the bargain price of just two clicks. 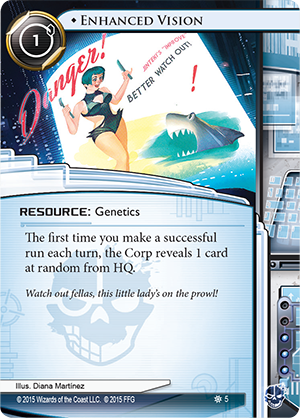 You could do all of the above – as well as use Enhanced Vision (The Valley, 5) – to reveal cards from the Corp's HQ, and you'd still have enough influence remaining for Gene Conditioning Shoppe. 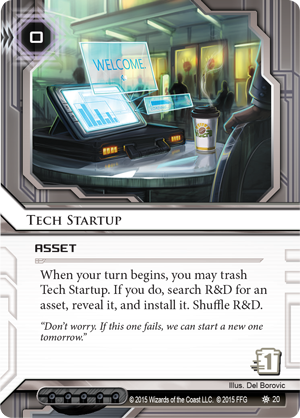 You'd even be able to include three copies of the Shoppe and each of the genetics resources in a fifteen-influence deck, provided that deck was built with a Criminal or Shaper ID. 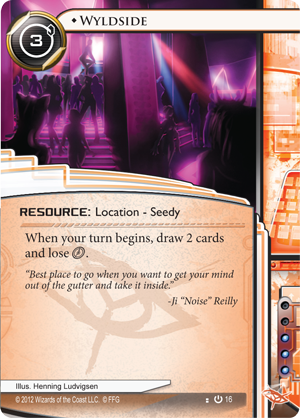 Of course, just as every Data Pack introduces new tools to each of the game's seven factions, there's more to The Valley than Jinteki and its genetics. There's also plenty of opportunity for other Corps that hope to work with its competitors in the Valley. You'll find Capital Investors (The Valley, 18) and Negotiators (The Valley, 19) looking to strike up partnerships with these bioengineering companies, and it seems there's always a new Tech Startup (The Valley, 20) in the works. Business is booming in the Valley. 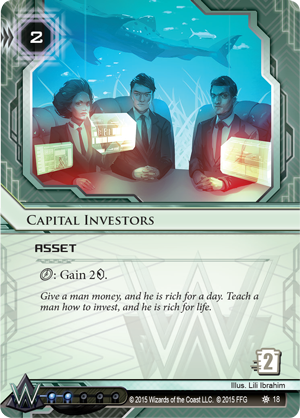 Its corporations stand at the forefront of the world's research into practical bioengineering, and that means that they stand at the bleeding-edge of any conversation about the future of humanity. How will you engage with those conversations? 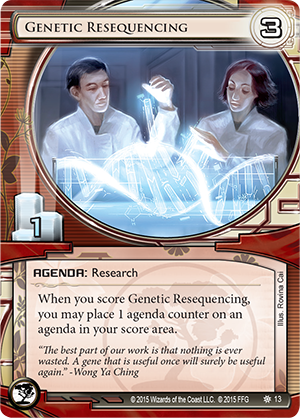 How will you benefit from the latest genetics research? Head to your local retailer today, and pick up your copy of The Valley!